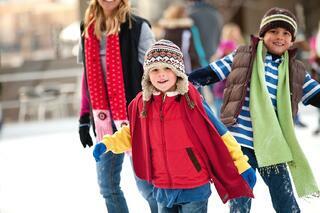 Ice skating is a great winter activity that can be fun for the entire family. In this cold, there are plenty of places in the local community where you can go for a day of fun on the rink. This blog post is part of our “Saratoga County NY Real Estate” blog series. The Saratoga Springs Ice Rink on Weibel Avenue – This is a year-round indoor skating rink that caters to the Saratoga Springs community. Saratoga Spa State Park – This is a seasonal facility with two outdoor skating rinks. Hockey is allowed at the rink just off Avenue of Pines, but not at the rink near Victoria Pool. Gavin Park in Wilton has a public ice rink. No hockey or speed skating is allowed, but the rink is lighted! Check the Wilton Parks and Recreation website for open times. Saratoga's many streams and lakes – The streams and lakes in our region are frozen solid for most of the winter season. However, be careful! You don’t want to fall in. Do you have a favorite spot you love to go ice skating in Saratoga? Comment here and share for all to hear!